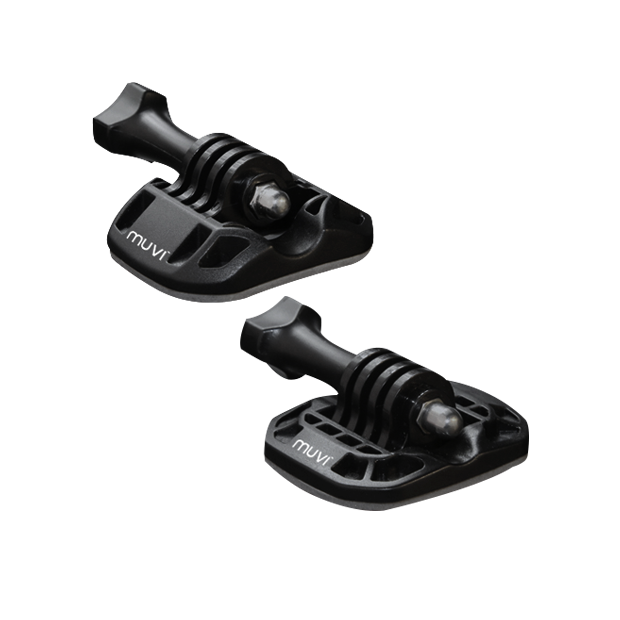 The 3M™ mounting bracket kit will allow you to secure your Muvi K-Series camera to any flat or curved surface. The curved mount is designed for mounting to helmets of all kinds while the flat mount is perfect for any flat surface. They are compatible when the K-Series is in the waterproof housing or in the cradle on the flat tripod mount. The strong 3M™ adhesive pads are waterproof and robust, and hold your Muvi securely in place but can also easily be removed by applying heat, such as a hair dryer.